Your eyelashes may thin out due to various reasons such as waxing, over-plucking, regularly using fake lashes, and of course, age. According to dermatologists, there are four stages of eyelash growth namely growth, resting, shedding, and then there is re-growth. As one age, eyelash follicles are bound to slow or stop growing new lashes. And this is where the problem comes in especially with women since we are the ones who cherish long lashes. When your eyelashes thin out, you have three options; glue on fakes, apply mascara or make them grow, naturally. An excellent lash growth serum will enable you to grow real, lengthier, and healthier lashes. These products are full of conditioning fatty acids and peptides that stimulate and promote growth. What's more, they are also simple to apply. You should, however, be cautious when choosing your product because there are so many ineffective and unsafe products in the market. ArtNaturals is said to use a mixture of Swiss apple stem cells, vitamin B5, amino acids, and other natural constituents to stimulate the health and growth of your eyelashes. 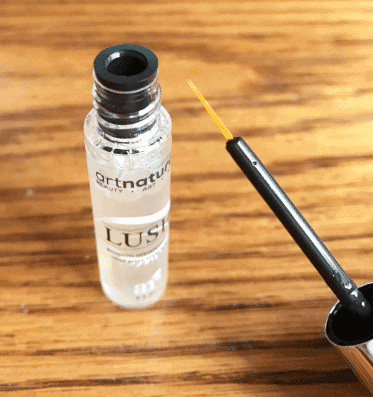 The ArtNaturals Company promises an irritant-free, all-natural serum that will give you fuller, thicker, and stronger eyelashes and brows that you really want. The serum is exclusively formulated to incorporate Swiss apple stem cells & myristoyl pentapeptide-17 which are believed to improve the fullness and thickness of eyelashes and brows. The myristoyl pentapeptide-17 also provides nutrients needed by the hairs to stay strong and be able to grow longer and quickly. The Swiss apple stem cell, on the other hand, maintains healthy follicle cells and also has unique characteristics that aid hair growth. The serum prevents thinning and breakage and also enhances eyelash density, length, and color. That's not all; the botanical extracts protect and hydrate the delicate skin around the eyes. Simply brush it on your lashes and owning fuller lashes will soon cease to be a mere dream. That sounds so beautiful, right? But, does ArtNaturals really live up to this hype? Is this serum such a miracle worker like it claims to be? Let's find out. The ArtNaturals Company claims that after two weeks of continual use of this product, your lashes will get increased to a noticeable length. That does not seem to be the case according to numerous customer reviews on Amazon and other sites. Several customers claim that they did not see any noticeable change even after using the product for over a month. The product doesn't seem to work for everyone! They also claim that the product is very safe and is only made up of natural ingredients that won't irritate your skin. Several customers complained of having a burning/irritating sensation after applying the product. One customer even claimed that some of his/her eyelashes fell out after using this product. Now, this is not right! Can you imagine the same lashes that you desperately want to grow falling off? Most sites sell ArtNaturals at $39.99. Does the price match the product? Well, that is for you to judge. I'm not just sure if I can justify that price despite all the hype about what the product can do. There are products on the market that are less expensive but work better than this product. So, does ArtNatural Really Work? I would say yes and no. Some customers on Amazon have given this product some excellent reviews, terming it as a miracle worker. I would say that the product does not work for everyone. Also, you may have to wait longer to be able to see results, unlike the manufacturer claims. Despite the over-hyped sales pitch on this product, I would not recommend it as the best eyelash growth serum. 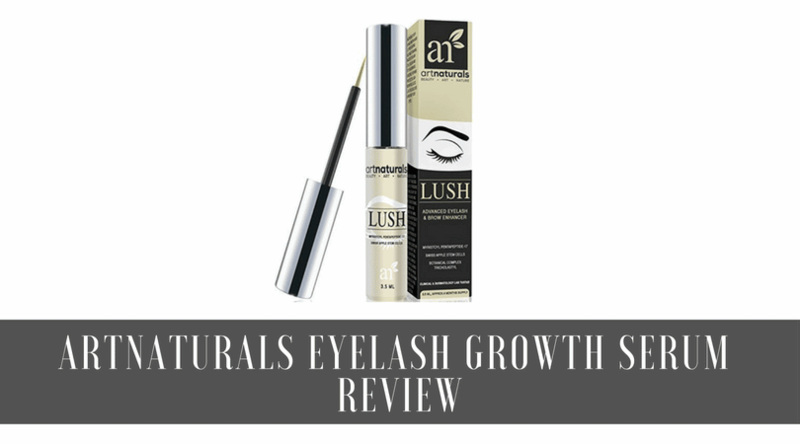 While the company claims that the lashes will grow within just two weeks and that the product is made up natural ingredients, there isn't enough proof to back up these claims, and the customer reviews tell it all. 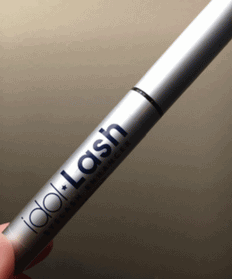 One notable competing product that will perform a better job, at a competitive price is the Idol Lash eyelash growth serum. The Idol Lash Company has done in-depth, clinically evaluated, and measurable trials while applying scientific methods to test this product. By measuring data using an analysis tool called Sigma Scan over a period of 24 days, the company proved that the application of this product promotes the thickening and growth of eyelashes. You only need to apply it once every night. Unlike ArtNaturals which does not live up to its expectations, you will only need two weeks of applying Idol Lash to notice a change in your eyelashes. Your lashes will have grown longer and thicker.